19:30. The curtain of the Mikhailovsky Theater in St. Petersburg rises, and Don Quixote appears before the audience. As always, he thinks of heroic campaigns and dreams of reigning justice. Just a little more, and one of the most magnificent ballets of all time will start. 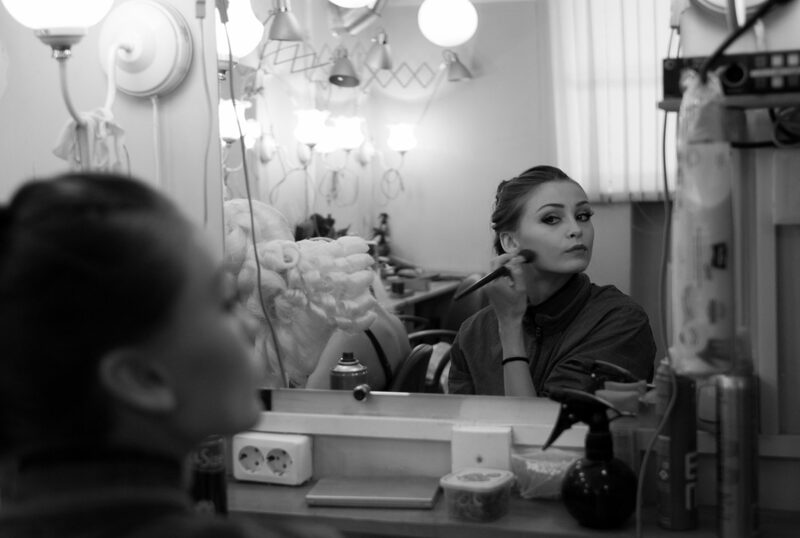 Behind the scenes, the recent graduate of the Vaganova Academy and a coryphee of the Mikhailovsky theater Ella Persson, who today performs the part of the Street dancer, is getting ready to enter the stage. Ella, being a coryphee, dances leading parts of Giselle and Sylphide. She also rehearses for the role of Cinderella. Despite her official status, she very quickly moves up the career ladder and is so successful that the title of a ballerina, quite possibly, is just around the corner. Ella’s day, like any ballet dancer, begins at the same time when office workers order their Starbucks on their way to the office. Waking up at 8:30, having breakfast, a bath and putting herself in order, she goes to the theater. First thing is warm up. The warm-up is not mandatory. To be more precise, it is not controlled by the teacher. This is on the conscience of every dancer because if you do not warm up properly, you can get injured, fall out of the next performances, which is equivalent to death for the artist. Ella comes to the hall one of the first, at 10:30 in the morning, and warms up for half an hour. Later, other artists join her, but there are those who, having missed the warm-up, come immediately to the beginning of the class. It’s funny that the warm-up occurs almost in deathly silence. The dancers warm themselves up silently, wearing headphones. Someone even manages to simultaneously sit on a twine and in social media. But not Ella. It contradicts her structured approach to work. Everything should go according to plan, nothing should distract her from work. When many ballet dancers work on their accounts in the Instagram, Ella Persson, possessing incredible external data, like a sculpture fashioned by Michelangelo, in which everything is perfect and admirable, tries to stay away from social networks. Sometimes she does not even take a phone with her. On such a radical step will not go even any “coaches on personal effectiveness.” Perhaps, it is the ballerinas who need to hold seminars on productivity. The beginning of the class can be considered as one of the examples of the perfected processes. There is no signal, no manager, who would say what to do, no meetings. Exactly at 10:59 the dancers simply get up, almost synchronously, as if during a performance, and stand in the first position. Exactly at 11:00 the lesson begins with the teacher’s word: “Plié”. The lesson goes to live music: in each room, there is a piano, and the accompanist plays the musical size, which is requested by the teacher. First, the artists do their exercises together, then go jumps, where everyone is divided into small groups of two or three people. 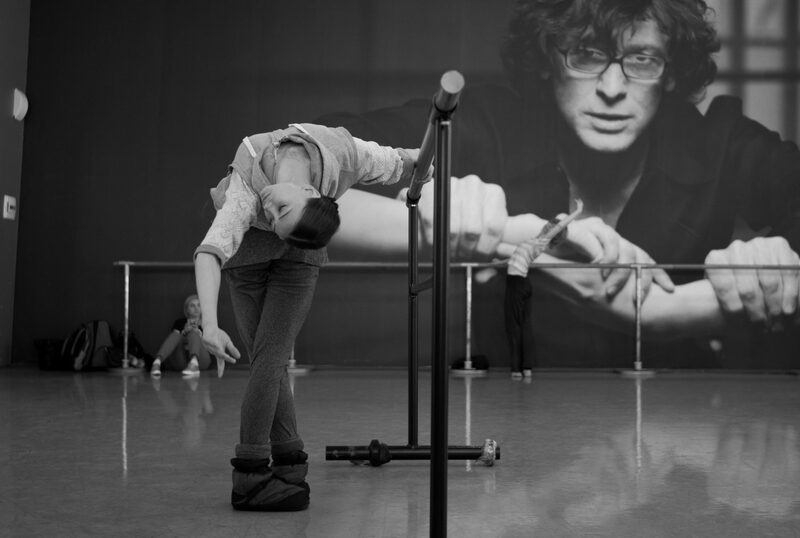 In general, there is no individual approach to dancers, but if the dancer did something wrong, the teacher can ask him to repeat the exercise. Officially, the lesson ends at 12:00, but in fact, the artists leave it earlier. Someone is tired, someone has a small injury, and he can not overexert himself, someone hurries to run the rehearsal. The reasons for all are different. After changing clothes, Ella comes to the backstage and continues to warm up. Soon the rehearsal will start. Artists are invited to the stage by speakerphone, and the theater begins rehearsal. The chief choreographer of the theater and tutors sit in the hall and give comments to both the artists and the orchestra. These are not unilateral orders, but a dialogue between three components: artists, tutors, and the orchestra. If the artist feels that it is more convenient for him to dance faster, he can ask the orchestra to play faster. If the tutor does not like how an artist performs a role under a certain tempo, he can offer the conductor to play this moment slowly. 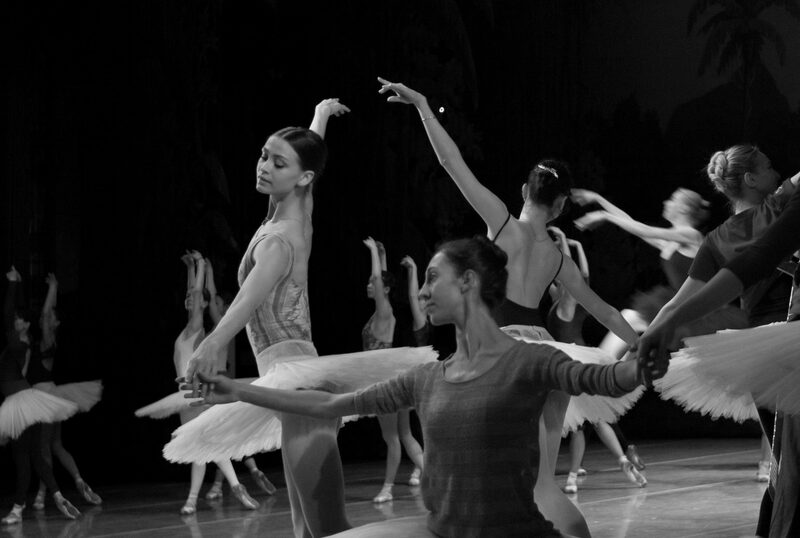 Some parts from the ballet can be repeated several times, and others are skipped. Everyone already knows what to do and when. It’s not so much even like a traditional rehearsal, but the final look on the form and nuances, to ensure the best possible quality of the evening performance. In rehearsal, as in the play itself, there is an intermission. If the artist plays only in the first act, after the intermission, he can do his own business. Ella has a role in both acts, so, after making a short break, she returns to the stage. After completing the rehearsal, Ella dressed in casual clothes in the dressing room. Casual – in the ballet sense of the word. In the theater, and sometimes even outside, the artists are dressed like skiers: in downy pants, warm jackets, soft slippers – chunys. This is necessary to ensure that the body does not lose heat, and the artist is not injured as a result. Now it’s time to prepare for the performance itself, which each artist does in his own way. Someone goes to dinner, someone plays Hearthstone (yes, artists also like to play video games, and they are very good at that by the way), someone tries to compensate for the lack of sleep. Ella decided to sew up her pointes. One day before the entrance to the stage her pointe shoes broke down, and she was very worried. But since the show must go on, she stepped onto the stage anyway, at the risk of getting injured. Fortunately, everything turned out okay. But Ella decided that this should not happen again, and now she always checks the pointes before the performance. Now she can have a little snack. The theatrical dining room with delicious food and low prices is sometimes getting boring, so Ella goes to a small cafe next to the theater, where she orders tea and salad. By the way, returning to her relationship with social networks, this is the first time in a day that she picked up the phone. Ella, of course, doesn’t eat much, but the stereotype that all ballet dancers are on diets is far from reality. As a rule, no one at all is sitting on them. Everyone eats what and how much they want. And this is normal: on a standard working day they burn more calories than some proud owners of a fitness club card during a month. Sometimes you still have to go on a diet, but this mainly applies to dancers who themselves feel that they are coming out of their ideal shape. After the dinner, Ella returns to the theater, where preparations are being made for the evening performance. Coming to the dressing room, she begins to apply makeup. By herself. In general, many ballerinas do it themselves. Only guys often ask for help, but it’s forgivable for them. Having dealt with the makeup, it’s time for the hairstyle. In the theater, there is a clear order to who and when does his or her hair, and it depends on the part, which the artist performs. If it is a question of “Don Quixote”, then Kitri is the first in line, and after her is the Street dancer, played by Ella. After the hair, it’s time for some finishing touches. In the case of Ella, this is an artificial tan. Yes, yes, when some girls use it to be “more attractive”, but for artists, this is just another tool in creating the right image. Ella’s snow-white skin is simply not suitable for the street dancer character, so she has to cover herself with a spray that is extremely hard to wash off afterward. Just imagine if the next character Ella has to play must have a white skin. And then the ballet begins. After warming up a little more, Ella enters the stage. But after the party of the Street dancer, the play does not end for her. Now she only begins her career as a full-fledged soloist, which means that in the second act she also has to dance in the role of Dryad. This is one of the most difficult stages in the life of any dancer. 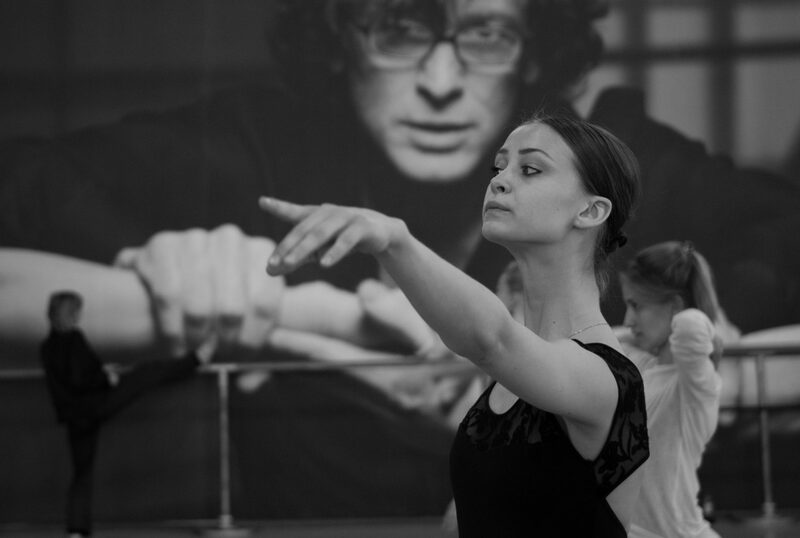 You not only have to know and rehearse the corps de ballet part but also to find the time to do the same with the solo part, because it will depend on the solo performance whether you’ll become a soloist or not. The victim here is free time, sleep, friends, and family – all in the name of a career. After the second act, Ella is finally going home. There is no point to stay for the third act, and an extra hour of sleep is much more useful. Flushing makeup and changing into everyday clothes in the standard sense of the word, she goes home with her graceful walk along the streets of St. Petersburg. Unfortunately, after an intense day, there’s no more strength left to enjoy the views of the northern Venice. After all, tomorrow she has the same schedule waiting for her and day after tomorrow and all other days until the end of the season. It is necessary to save energy to give as much as possible on stage. In the business world, everyone is obsessed with productivity: many coaches in effectiveness and time management have their lectures and seminars. Everyone talks about how to increase productivity, how it is necessary to give oneself to one’s work completely, how everything should always go according to plan, drooling to German and Japanese systems. They say a lot but do little. In the ballet, the opposite is true. For the whole day, Ella did not say a word about productivity, not a word about systems. Yet everything was just like the ideal, even a little utopian, system of well-build processes. The artists do not have managers, for the whole day nobody told them what to do, except for reminders about the rehearsal. Nobody controls whether you made makeup, did you do your hair. Even that moment with a tan was not controlled in any way. Ella did it, it had to be done. Behind the scenes everything happens with incredible precision: exactly what should happen, and exactly when it should happen. 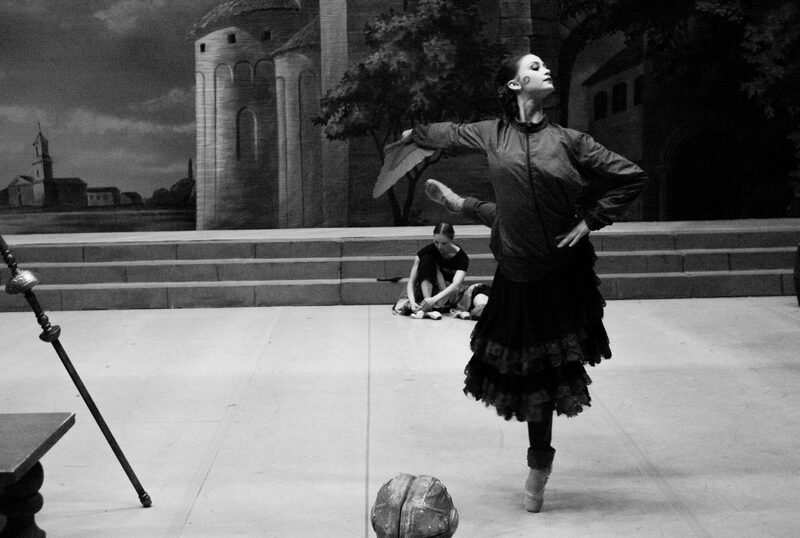 All the processes behind the scenes of the Mikhailovsky theater are perfected to the ideal in no less degree than the performances themselves. For some, the army is an example of the ideally precise system, for others it’s Toyota. For me it’s ballet.